Michael D. Fleming has over fifteen years of progressive experience in the biomedicines, pharmaceutical and consumer products industry. He has performed various roles in the area of sales and marketing thorough team leadership, training and development, project management and compliance with leading global companies. He holds a master’s degree in Administrative Management from Bowie State University and holds a bachelor’s degree in Management Science & Economics from Kean University. 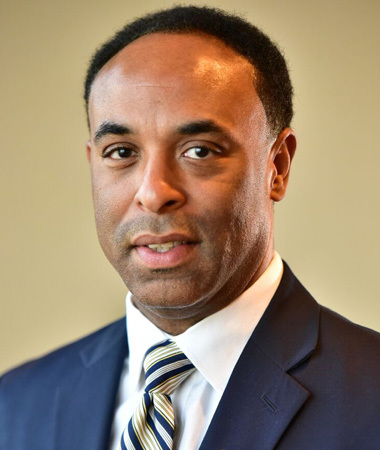 He is a Lifetime Member of the National Black MBA Association®, Inc., having served on its New Jersey Chapter executive board where he is completing his final term as Chapter President. Under his leadership, the chapter has garnered national recognition including its work in support of Entrepreneurship and its multiple, award-winning youth mentoring initiative, the Leaders of Tomorrow® (LOT®) Program. He is a proud, Lifetime Member of Phi Beta Sigma Fraternity, Inc.and has served on local non-profit, community organization boards.